As a hiring manager or employer, you know what things to look for in job seekers that show they are not the candidate for you. You may need bold, aggressive go-getters on your team to drive sales in which case a reserved, shy candidate would not do. You may need someone with great communication skills that can also write well. In other words, you know what you want. Even so, there can be subtle signs in an interview that can help you decide if this candidate is your future employee or just another job seeker in the bunch. Even more so, there are things you can look for in the screening process if you use video interviewing that can help you decide if you should invest more time in a candidate, or spend your time and energy elsewhere. We’ve already covered what to look for in a great video resume. So on the flip side, let’s discuss three candidate mistakes you should look for in a video interview. 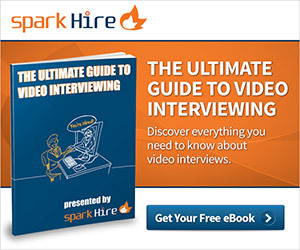 Using video interviews is a great way to enhance your candidate screening process. If used correctly, it can shave tons of time off the process and make it much easier on you, the hiring manager or employer. When you see that on average one phone screen takes about 30 minutes to complete and know that you can complete 10 one-way video interviews in the same time, it seems foolish not to incorporate video interviews into your process. That said, candidates can make blunders in a video interview just the same as in an in-person interview. Even though job seekers have the ability to interview with you from home by video interviewing, it doesn’t mean they should throw all regard for professionalism to the wind. When you are viewing a candidate’s video resume, one-way video interview or interacting with them over a two-way video interview, be mindful of the background. Is it neat and tidy, or unorganized and very messy? Although you don’t want to judge job seekers by how they choose to keep their home, a mess in the background of a video interview can point to laziness or disregard. You wouldn’t be particularly thrilled with a candidate that came into your office for an in-person interview and was messy and unkempt. By the same token, if job seekers have a mess in the background of video interview it should be a sign that this candidate is not the best. When you use one-way video interviews in the screening process,a candidate is put in front of you right away. They are no longer just a resume or a voice, but an actual person communicating with you as they would in person. When you participate in a video interview with job seekers, you should be paying close attention to the way they communicate. Are they assertive and confident in the answers they are giving, or are they unsure and wishy-washy? If a candidate shines in the video interview and shows you they have great communication skills, you may want to invest the time and energy in having them come into the office for an in-person interview. If they are struggling to communicate to you why they are a great candidate, you may want to pass them over. When a candidate truly cares about the position they applied to and truly wants the job, they will do their best to present their best self to you. That includes their outward appearance. This is a given in an in-person interview, but job seekers might feel that since this is not a formal, in-person interview that they can skimp on a few areas. However, if you are interviewing a top candidate they will know that any time they are in front of you or presenting themselves to you, be it in their resume or interview, they need to be at their best. A candidate that participates in a video interview and is dressed casually is probably not the best candidate for you. Although these candidate missteps may seem petty, they are small signs that point to laziness, disregard or apathy. No matter what position you are looking to fill you want a candidate with integrity, confidence and motivation to get the job done right. Keep these small mistakes in mind next time you participate in a video interview with job seekers. What are some mistakes that job seekers make that you feel are deal breakers? Do you have any that are specific to video interviews ? Share with us in the comments section below.